Remember that tropical house plants were never intended to live in a house. Although many of them will do well indoors, you can never expect them to grow if you completely forget about them. In order to help you to stay motivated to exert the effort needed to care for your houseplants, remember the benefits of having indoor plants. Indoor plants benefit the air quality inside of your home. Plants give off oxygen while taking in carbon dioxide and other pollutants. 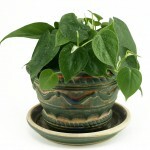 The tropical houseplants grown in our homes serve a function similar to that of mini air purifiers. Not to mention, tropical houseplants add a great deal of aesthetic appeal to our homes and offices. It is well worth the effort to care for a tropical houseplant than to give in to the temptation of simply buying silk plants. 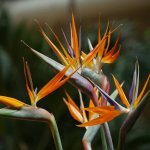 As a general rule, in order to grow and care for your tropical houseplants you will want to avoid the following: over-watering, under-watering, too high or low light intensity or temperature, low humidity, insect or disease infestation, improper use of chemicals or fertilizers and poor drainage. There are several tropical house plants that are extremely susceptible to spider mites and other pests. These include most of the popular palms and ivy. Sometimes tropical houseplants will need a certain humidity (like that of a greenhouse) in order to survive. 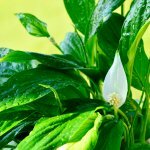 Unless your home has the humidity levels that some tropical houseplants need, you might be better off eliminating these species of plants as candidates for your in-home garden. Humidity levels are also important because spider mites will attack plants when they are stressed from lack of humidity. Ivy plants are particularly susceptible to spider mites from poor humidity levels. Also keep in mind that the humidity levels in your house will likely change depending on the season. For example, many people have dry air in their home in the winter due to heating with natural gas. Tropical houseplants need some basic things such as water, good soil, warmth and a fair amount of light. 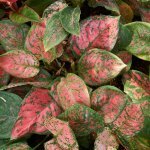 The most common tropical houseplant problems are seen when leaves turn yellow or drop off. This is usually caused by over-watering, over-fertilizing or lack of light. Most resilient houseplants will be able to bounce back after being neglected if you can address and correct the problem. 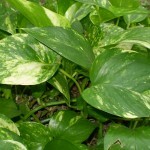 Another very common tropical houseplant ailment is seen when leaf tips or the center margins if the leaf become brown. This problem is often the result of having the plant in an environment where there are low levels of humidity or where there are problems with drainage. Humidity problems can often be solved by placing the plant near a humidifier, and drainage issues can be solved by placing pebbles or rocks in the bottom of the pot containing your houseplant.